Was looking for a decent MP3 player for my son when I found this. Seems to be good spec. 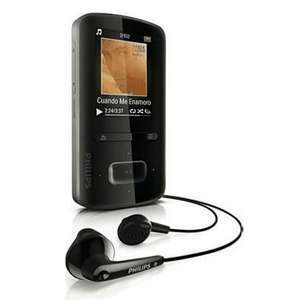 I have another Philips MP3 player and it is great. This one has an FM radio as well. I think model numbers ending KA and KN do not have the radio. ****! Just noticed that it is free delivery too with code "service". Oh well. Good for the rest of ye. Had this delivered last week with a soundbar speaker using the 40%+20% codes which meant I picked it up for £14.39 delivered, only really added it to the basket so I could use both codes but very glad I did now. Great sound and good quality headphones that for inear ones are comfortable to wear, takes around 5 hours from dead to charge via the USB cable supplied.